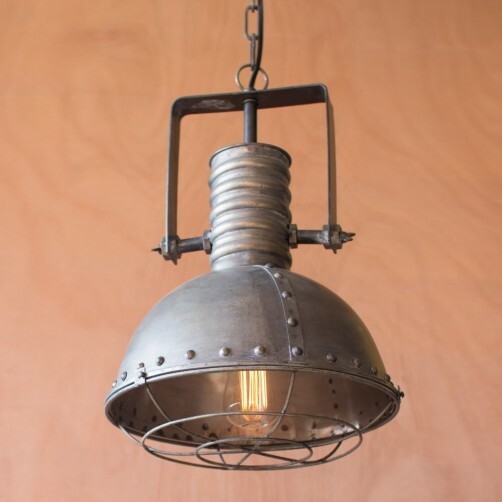 Add an industrial look to your modern decor with this hanging antique finished metal pendant lamp. Features a caged metal cover that is reminiscent of lights used at construction sites. This light is sure to add an ambient glow. 12" Diameter x 17"H. Max Watts: 40. Light bulb not included. 72-inches of both black cloth and silver cord reinforcements.